A foul weather alternative (FWA) is a long distance walkers term for a route that can be used in place of a much better (usually higher and more remote) route, in the event of foul weather. Well, we’ve certainly had some foul weather recently and my enthusiasm levels for walking have been somewhat muted as a result, despite the excellent TV commercial from Land Rover that encourages us to #Hibernot – to get out and “enjoy this grey and pleasant land” whatever the weather. I’ve walked in all weathers, but for some reason recently I’ve been reluctant to drive 100+ miles to get drowned, muddy and windblown, so I’ve been spending my time on foul weather alternatives. 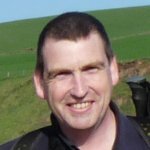 The Pennine Way Guide Book has been one such diversion and another has been what I want to discuss briefly here: a trig point database. I was ignited into action by a post on Twitter a couple of weeks ago from Steve Wilson (@AnalystSteve), who has a mutual love of these concrete pillars and who had recently spent a week wandering around the Peak District ticking them off. 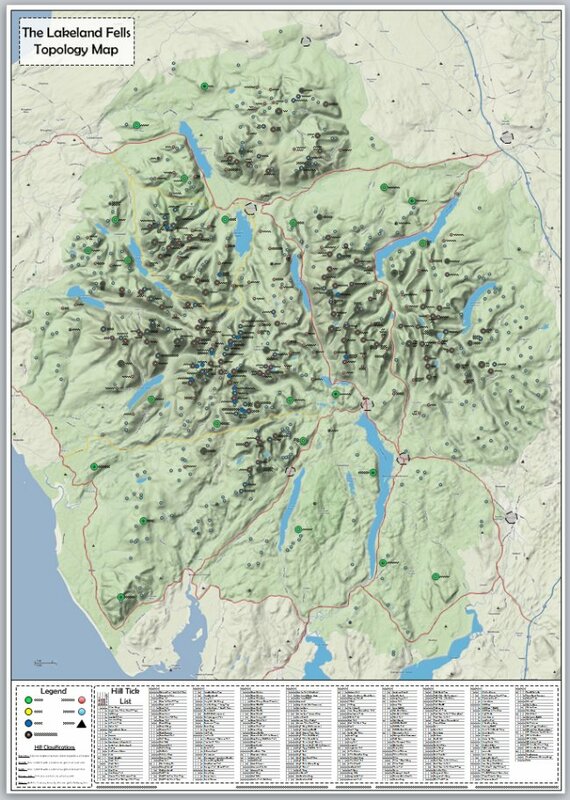 I had done some previous work on allocating trig points to the National Parks I walk in; Lakes, Peaks and Dales, but he wanted a more definitive list, with the ability to sort by height, filter out certain types of trig points and so on. His request got my mini-project moving and I spent a few wet evenings and last weekend hacking away at the task. Getting trig point information is not as easy as it may sound (in fact it doesn’t even sound all that easy to be honest) – there are two main sources that I use almost exclusively; the TrigPointingUK website and the Ordnance Survey trig point database, which is now on-line but not maintained. The two sites do have some conflicting information and I’ve spent the best part of the week ironing out those discrepancies and manipulating the data into something usable. I also needed to find some way of determining which trig points lived within the boundaries of the National Parks and the Areas of Outstanding Natural Beauty (AONB) that Steve had requested. This was probably the second most arduous task of the lot. I must thank Chris Woodley-Stewart (@NorthPennChief) and his colleague Andy Lloyd from the North Pennines AONB for help in obtaining some of the boundary files that enabled me to accomplish this task. 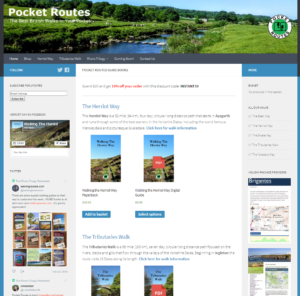 I also found the MAGIC Map database to be an excellent site for gathering boundary information on things like the National Parks, National Trails and Open Access spaces. The most difficult task was certainly gathering height information for the trig points – something I expected to be much simpler than it turned out to be. It seems that even the OS database doesn’t have height data for all its benchmarks – or perhaps they just don’t share it. In the end I settled for height data for the trig pillars only and this is 95% complete, with some understandable omissions for trig points that have been destroyed. The result is this; an Excel database with all the UK trig points in it. Click the image above to download the Excel file and reap the fruits of my labours! 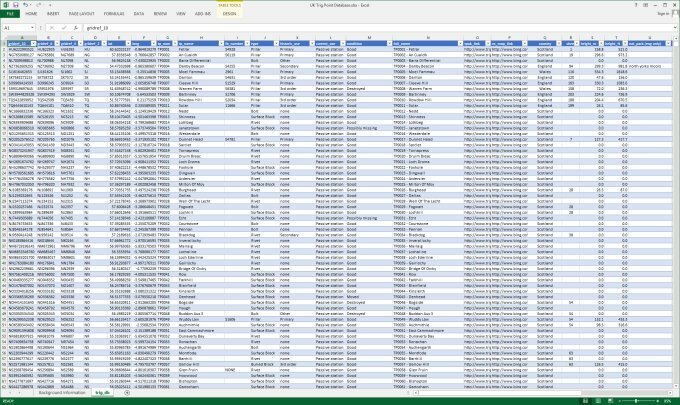 The top line of the sheet has filters that allow you to limit the approximately 15,000 rows of data into something that relates to what you need – so set the National Parks filter to “Lake District” and the Type filter to “Pillar” to show all the trig pillars in the Lakes. You can use the same filter buttons to then sort them into descending height order if you so wish. If you do download the file, could I please ask you to leave a short message below – just to give me an idea of how many people have found it useful. You can then subscribe to the comments and be notified of any future updates to the file in that way. Any questions, suggestions for enhancements should also be added in the comments form below. Next story Page 1 Completed! Your A Star. This DATABASE Is A Great Tool. Many Thanks STUART!!!! !